Weezer "Blowin' My Stack" / "Getting Up and Leaving"
After just releasing four tracks  two from their upcoming Death to False Metal and two from their deluxe Pinkerton reissue  Weezer have made another two tracks available to check out and download for free through their website's forums. 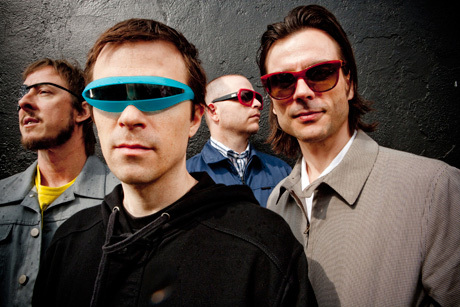 "Blowin' My Stack" is from Death to False Metal, Weezer's collection of unreleased tracks, and "Getting Up and Leaving" is an unreleased Pinkerton bonus track. Download "Blowin' My Stack" here and "Getting Up and Leaving" here.